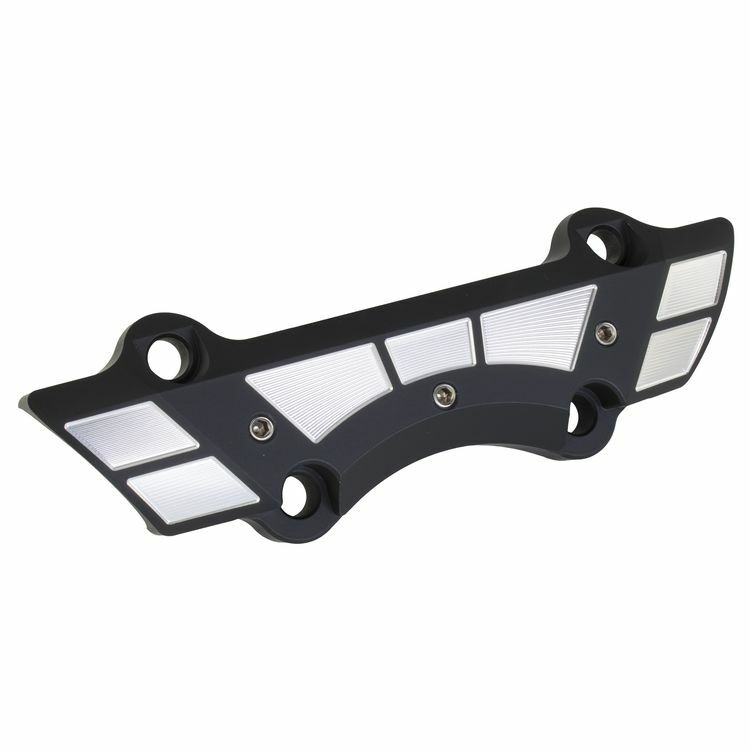 This one-piece riser top-clamp is CNC machined from 6061 T-6 billet aluminum a left with a natural finish. It has three 1/4" x 20 setscrews in the top to keep handlebars from slipping once installed. Features large wire reliefs for internal wires and designed with extra internal clearance for bikes with added switches.